Over 1,100 people are expected to gather in State College this Sunday to enjoy a celebration of all things gluten free, with the goal of making their lifestyle easier to maintain. 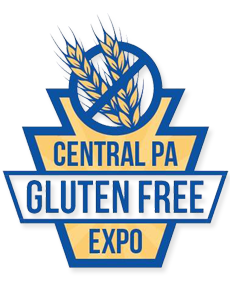 The 6th annual Central PA Gluten Free Expo will take place at the Penn Stater Conference Center (215 Innovation Blvd.) this Sunday. The event will include some 50 local and national vendor spaces, educational presentations and demonstrations, door prizes and gluten-free samples. The expo will be open to the public from 12:30 p.m. to 5 p.m. General-admission advance tickets are on sale now ($9.00) or can be purchased at the door ($12.00). Children ages 16 and under are free to attend the event with an adult. Parking is free. Many companies represented at the event have carved out a niche by producing products that are difficult to replicate or find in a gluten-free form, such as the corn dogs and funnel cakes produced by Archer’s Gluten Free Cafe of Troy, Pa. Expo exhibitors will be sampling, selling, and discussing products and services at the event. Gluten-free foods available for sample or purchase at the event will include breads, cookies, gravies, pastries, soft pretzels and baking mixes. Keynote speaker Jules Shepard, known nationally as “gfJules,” will present the session “Seven Steps to Living a Healthy and Happy Gluten Free Life.” Jules has been highly visible in the gluten-free community since 2007 with the publication of her first gluten-free cookbook. Other presentations this year include a gluten-free cooking demonstration by a Wegmans chef, and a gluten-free funnel cake demonstration by Archer’s Gluten Free Cafe. Look for details on the next Philadelphia area expo, slated to take place on Saturday, May 18, 2019 in Oaks, Pennsylvania, early next year.